As part of my recent effort to support and bring greater light into the rapidly expanding demographic of Indie writers/publishers, today's post is the first in a planned series of spotlights on independent, self-published writers whose books I've read and enjoyed. Recent years have seen a rapid transition in the publishing industry and now far more books are published independently than by traditional publishers. This exploding market, however, coupled with the ease of self-publishing, has led to an explosion in the numbers of “published” authors in the market, making standing out more difficult than ever. In this post the spotlight is on Fergal F. Nally. His latest novel, Aes Sidhe, was published on June 6, 2017. I sent him a list of questions to which he was kind enough to supply answers. Tell us a little about yourself. What is your background? What made you want to become a writer? I was born in Dublin and left to live just outside London at age four. Our house was full of books and music. Listening to Radio Luxembourg and the BBC on the radio (John Peel) become a treasured habit. I lived near the countryside, and the area we lived in was rich with Roman archaeology. This was fascinating to me as a young boy as was the history of World War II. I discovered fantasy writing when I read C.S. Lewis’s The Lion the Witch & the Wardrobe and then graduated on to Tolkien’s The Lord of the Rings, which totally blew my mind. Then followed Stephen R. Donaldson, Terry Brooks and others. Hanging out with my friends playing Dungeons & Dragons was an escape from school (all this before computers and the internet). Growing up close to London in the 1970’s and early 1980’s was an experience, especially with the explosion that was punk rock. The excitement of the music scene at that time was extraordinary and something I will never forget. Other artists that held my attention were David Bowie and Kate Bush, amongst others. Then I returned to Dublin and my Celtic roots at age 12 and made a whole set of new friends immersing myself in sport, literature and exams. Then university and a medical career and well… life took over. I always had an interest in creative writing and had experimented with it over the years. 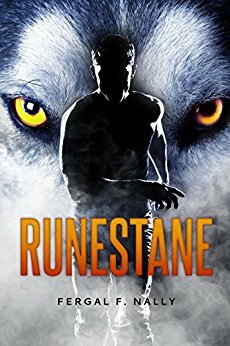 I wrote my first book, Runestane, in 2003 and enjoyed the experience. It languished in a drawer for years whilst I followed my other passion: mountaineering. Adventures in mountain ranges all over the world kept me busy for years...great memories. Then, the writing itch returned and stayed. I rewrote Runestane and self-published, which was fun so I did it again and then again and again. Writing is a hobby and I never bothered with promotion, so when each story was finished I would move on to the next. Ideas kept coming thick and fast. Do you have other novels/stories/poems published? Where? I have six books out on Amazon and am currently editing my next book, part one of a dystopian trilogy, which I am excited about. You can find them here. Where did find the inspiration for Aes Sidhe? This came from a trip to Orkney in 2015. Orkney is rich in archaeology, and I visited some stunning sights such as the Ring of Brodgar (Stenness) and Maeshowe Chambered Cairn (with its Viking rune graffiti!) and, of course, Skara Brae. Just amazing. I came across some Orcadian folklore; the vanishing islands (Eynhallow and Hether Blether). This together with my love of Celtic and Norse legend triggered the adventure that is Aes Sidhe. I grew up surrounded by Celtic art (standing stones and ancient remains) but also Celtic inspired art from artists like Jim Fitzpatrick (who designed the album covers for Thin Lizzy) and the great Irish stained glass artist, Harry Clarke, amongst others. This, fused with my love for the purity and strength of the Arthurian legend, led me to blend these ingredients like a recipe. The result is Aes Sidhe, my tribute to all those wonderful influences. There are some clear parallels to Arthurian Legend in your novel, i.e. 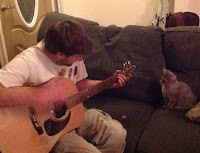 with “Scalibur” and such. How deeply did the Arthurian tales play into your inspiration and how deep do the parallels go? The Arthurian parallels are real but reforged in the world of the Erthe. Aes Sidhe is the sixth of my Erthe novels (all individual, stand-alone stories) based in the fantasy world that is the Erthe. Orcadian, Celtic, Norse, Pictish and Arthurian elements are fused together in Aes Sidhe (e.g. the mythological Kelpies, Dal Riata the ancient Gaelic kingdom of Scotland & Ireland and, of course, the ancient mystical race of the Aes Sidhe from Irish folklore). Who are some of your primary influences and favorite authors/books? Many and varied but influences are J.R.R. Tolkien, Terry Brooks, Nicholas Evans, Douglas Kennedy, Sebastian Faulks, H.P. Lovecraft, Robert E. Howard, Edgar Allan Poe, John Keats, Lord Byron, Michael Crichton. What made you decide to go with the self-publishing method? Did you pursue a more traditional venue first or did you know from the beginning that this was going to be your method? I write for fun. For me it’s a joy. In the past I’ve not bothered much with promotion and when one story was finished I’d just start another. The ideas always seem to come thick and fast. I read about what writers should do using the traditional model (i.e. secure the services of an agent) which I did at one point. However, the experience was not positive and I saw the Amazon self-publishing model and knew it was for me. I tried it and found it so easy. I haven’t looked back since. Tell me a bit about your editing methodology. Did you utilize “beta” readers? Did you enlist a professional editor for your novel? Typically I finish the story and park it for a while before returning for the first run through. I tend to edit slowly and find it takes more energy than actual writing. Usually I go through the whole story four or five times with a fine tooth comb, correcting plot holes, grammar, spelling and inconsistencies. It’s quite therapeutic seeing this fully formed story emerging out of the clay— I love it! Aes Sidhe was formatted professionally, and once accepted for publishing by Kindle Press it was professionally edited as part of the publishing process. I did not have any “beta” readers. 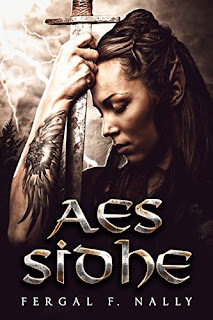 Are you planning a sequel for Aes Sidhe? You’ve mentioned working on a dystopian novel. What can you tell me about your works-in-progress? A sequel for Aes Sidhe? Who knows? Nothing planned at present but those characters may call me back, there is always unfinished business! I am excited about my current dystopian story. I have just finished the first book and am editing it at present. I have jumped ship to this new genre which is liberating and energizing. I envisage this as part one of a dystopian trilogy. There is a strong female lead and again the characters have dragged me through this adventure at a rip-roaring pace. I have just had the cover completed and am very pleased with the result. I hope to release this new tale on the world in the autumn of this year. There’s always something to look forwards to when you’re a writer! Thanks for your time. I wish you the best of luck in this and upcoming projects! You can find Fergal F. Nally's on Facebook, Twitter, and on Goodreads. His most recent work, Aes Sidhe, is available for purchase on Amazon.com. This is the first in a planned series of spotlights on indie writers who deserve your attention. If you enjoyed it, consider signing up for my mailing list. 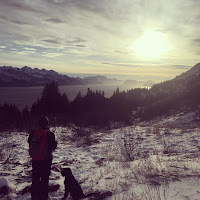 I also blog about all sorts of crazy, educational, entertaining, and occasionally funny topics from what makes an effective first paragraph in a novel to giant redwoods, medieval sailboats, the ancient Mayans and more. If you do sign up, you will get a once-a-week update on my posts and NOTHING ELSE! No spam, no selling your email to third parties. Okay, if I ever get around to publishing one of these works in progress that are constantly haunting me, I might send out an email letting you know. In the meantime thanks for reading.